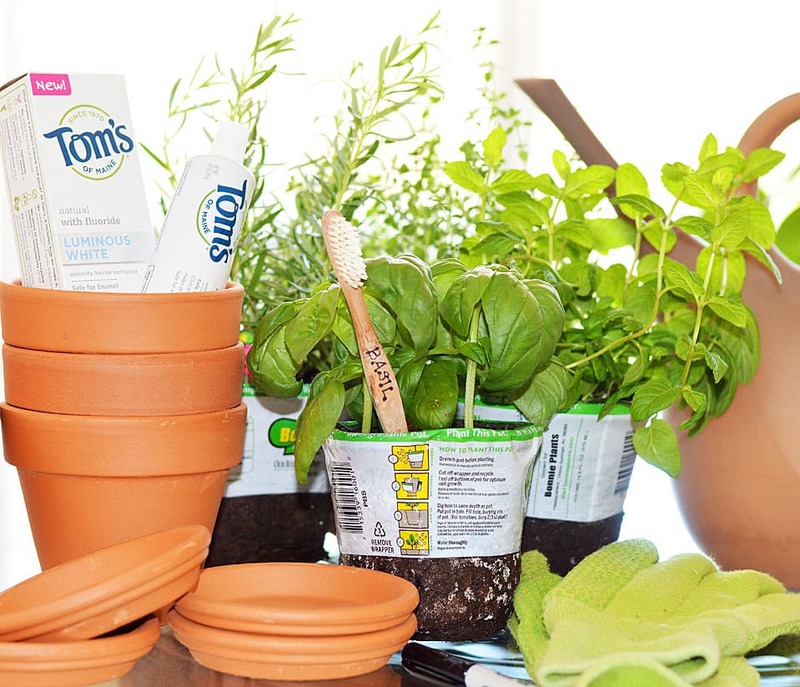 April is Earth Month & I’m Upcycling Bamboo Toothbrushes! 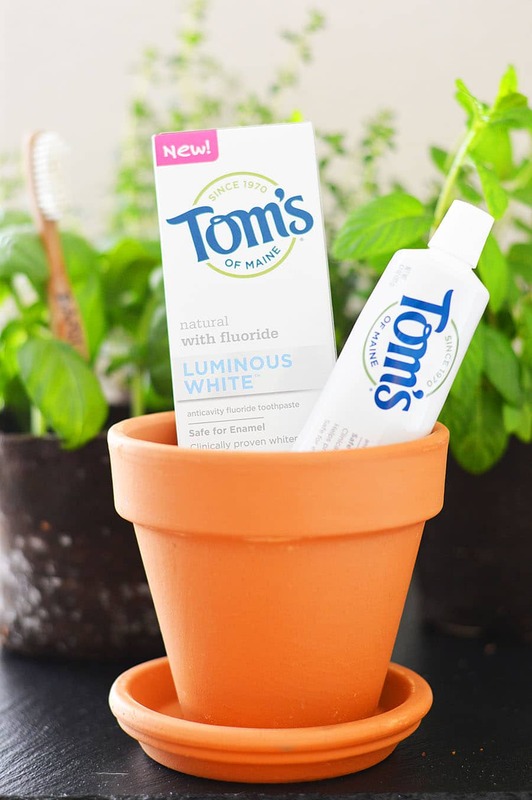 When I was offered the opportunity to work with Tom’s of Maine Luminous White™ Toothpaste Clean Mint, my favorite eco-friendly brand, I must admit I was thrilled. In an effort to bring awareness to April being Earth Month, I thought I would show you just a few of the ways I am personally trying to bring more natural products into my home. It’s not a “recipe” per se, but a relevant topic and a “recipe” for pursuing and living a plant-based lifestyle. Every little bit helps! Tom’s of Maine Luminous White™ Toothpaste Clean Mint is safe on enamel with everyday use. What I love about it, is that it’s made up of biodegradable or mineral-derived ingredients, contains no artificial flavors, colors or preservatives and is even gluten free! I found it in the toothpaste aisle at my local Scottsdale, AZ Walmart. Tom’s of Maine™ is excited to focus on Earth Month. So let’s talk about the ways you and your family can give back to the earth, support the Earth Month initiative, or find ways to be more natural and intentional about the brands you choose to use. It’s already really hot in Arizona, so I bring my garden indoors! 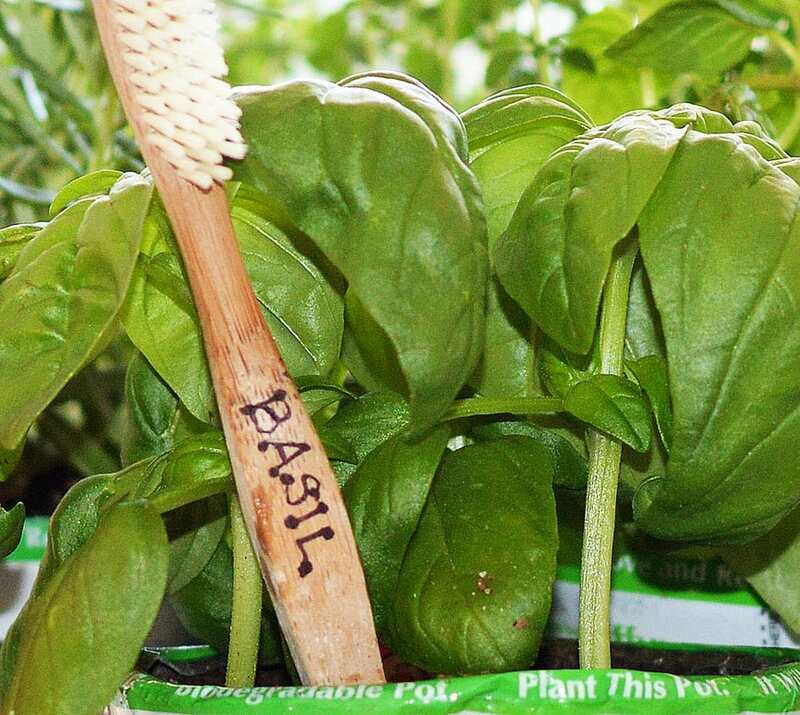 As a food blogger, I keep herb plants growing right in my kitchen and I like to use my compostable bamboo toothbrushes as plant markers! I am a big on recycling, but how familiar are you with upcycling? Upcycling is a fancy term meaning we make use of one product and turn it into another useful product, further reducing waste. When I first started making changes, I purchased bamboo toothbrushes and I thought that would be a nice tie-in with this campaign. They are biodegradable and compostable, the plant-based bristles are made from a vegetable-oil base and they arrive in completely recyclable packaging. It was a small change, one that if everyone made, would create a huge impact. Over 4.7 billion plastic toothbrushes that will never biodegrade are dumped in landfills and oceans every year worldwide. Those bamboo brushes I mentioned above have removable bristles, so you can pull them out with a pair of pliers if you’d like. I would normally leave them in and turn the brush in the other direction when I use them as plant markers, but I wanted you to see how I upcycle them! So, have you tried Tom’s of Maine Luminous White™ Toothpaste Clean Mint yet? 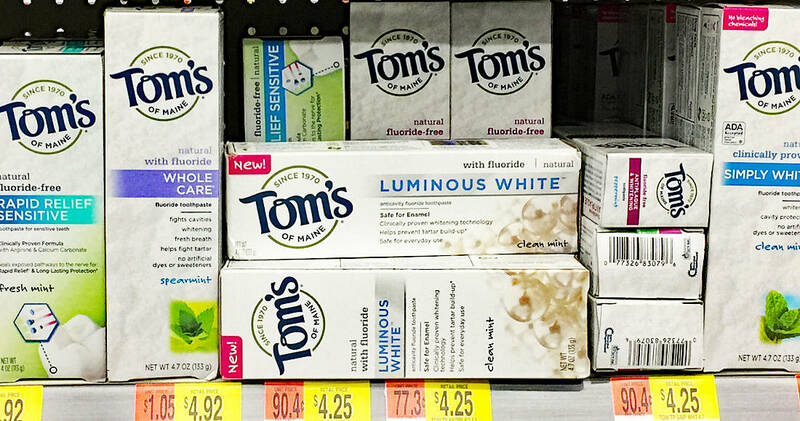 Let me know what you think in the comments section below and be sure to check out this offer where you can earn 75 cents with the purchase of Tom’s of Maine® Luminous White Toothpaste!